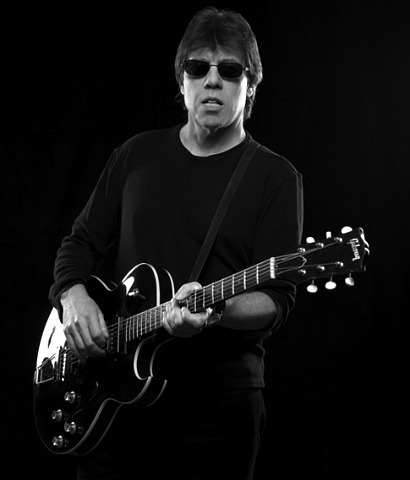 George Thorogood pays tribute to the seminal music of Chess Records on his latest LP, 2120 South Michigan Ave., its title boasting the Chicago-based label’s mailing address from which as a teenager he’d receive catalogs listing available releases. 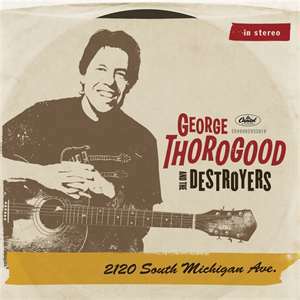 Produced by Tom Hambridge and featuring cameos by Buddy Guy and Charlie Musselwhite, the album finds Thorogood and his rock-steady band, The Destroyers, barnstorming through tracks by such legends as Chuck Berry, Willie Dixon, and Bo Diddley. In other words, it sounds just like the blues-spiked rock you'd expect from George Thorogood and The Destroyers—and that ain’t bad. Do you ever get intimidated taking on a song by Chuck Berry or Muddy Waters, just because of their stature? No. If you’re going to be intimidated in this business you shouldn’t be in this business. Chuck Berry and Muddy Waters—it’s almost like actors who don’t know anything about Shakespeare or Tennessee Williams—[they’re] almost like a standard part of your education. So it’s not something to be intimidated by; it’s something to be educated by. Were any of the songs on this latest record foreign in that you had to learn how to play them? Some of them, yeah, some of them were. I hadn’t realized that “High-Heeled Sneakers” was already in the Chess catalog; it was pretty much a rock ‘n’ roll standard. And J.B. Lenoir I didn’t know had been with Chess, and the song—I was familiar with it, though I never played it—“Mama, Talk to Your Daughter,” was a Chess recording. The other ones are obvious—Chuck Berry, Bo Diddley, Sonny Boy Williamson, Little Walter, Muddy Waters—but we needed more than that. Some of it was foreign. Some of it was stuff we’d done a lot, and some we were very aware of. We were kind of all over the place with this record. You learned about Chess Records originally through the Rolling Stones. Well, so did everybody, pretty much, in my generation. Most of us were just listening to Top 40 radio, and the Rolling Stones were able to crack that Top 40 radio thing with a Howlin’ Wolf song written by Willie Dixon called “Little Red Rooster.” And they had other songs—“I Just Want to Make Love to You” and they did Bo Diddley covers—and they brought that consciousness into the teenagers of my generation. On the television show Shindig! they brought Howlin’ Wolf and that got the ball rolling with me. I started getting interested in these people, where the Stones got their sound from. The Beatles had listened to just about everybody—Little Richard, Chuck Berry, and the Everly Brothers—[but] their roots were closer to straight-ahead American rock ‘n’ roll whereas the Stones were down deep into the heavy Chicago blues and the Mississippi Delta blues as well. Do you still get a buzz from playing live? More than ever. It’s a lot better now because we have radio support. We’ve had classic rock radio behind us for almost 20 years now. And we have a strong catalog, better amplifiers, better rooms. We have buses to drive us around. It wasn’t like that for us 20, 30 years ago. Now it’s work, but back then it was hard work. And I got into this business not to get into work. Is that support continuing? With satellite radio and so many other options available now, is FM radio still a vital medium for you to get your music heard? We seem to be on the radio somewhere, sometime, all the time… People in radio stations, they make their money off advertising. And the reason they put their money in it is because they want their product on radio. They invest in stations that people listen to the most. And the stations people listen to the most are the ones that play rock music. Rock is what rules. I didn’t invent this. I didn’t set this system up. That’s just where it’s at. Turn on the radio right now and you’ll hear a song by Led Zeppelin that was recorded 40 years ago, because the advertising people know that’s what people listen to. When did you and your band’s music transition from being played on Top 40 radio to classic rock radio? When “Bad to the Bone” came out in 1982 it was not that big of a hit. We played it and people kind of liked it, but it didn’t stand out. Then when classic rock radio started in the ‘90s I was told that “Bad to the Bone,” “Jumpin’ Jack Flash,” “Rock’n Me Baby” by Steve Miller, and a couple others were the staples that they used to start classic rock radio in several mainstream areas. That’s when “Bad to the Bone” took off. Then all of a sudden we went from a blues-boogie band to a rock band.